This November we were able to host volunteers from Alcatel – Lucent through a collaboration with tech needs girls. The event themed ” You can also make it!” was a platform for these volunteers to share real life experiences with our girls, mentor and motivate them. Alcatel – Lucent also provided training to our girls on how to set up email accounts, use these accounts, as well as, general internet usage. It was truly another incredible day where our girls were greatly inspired! This year we have been privileged to have several organizations provide mentorship, leadership and technical training for our girls: Projects Abroad, Tech Needs Girls, Curious minds, Rayuwa Foundation, Worldreader, and now Alcatel -Lucent. We are very grateful to all and look forward to even more of these programs in the upcoming year!!! 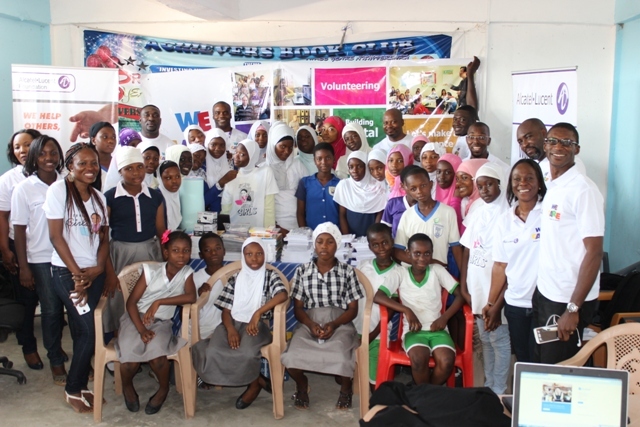 This entry was posted in Uncategorized and tagged Alcatel -Lucent, curious minds, email usage, Projects Abroad, Rayuwa Foundation, tech needs girls, volunteers, Worldreader. Bookmark the permalink.